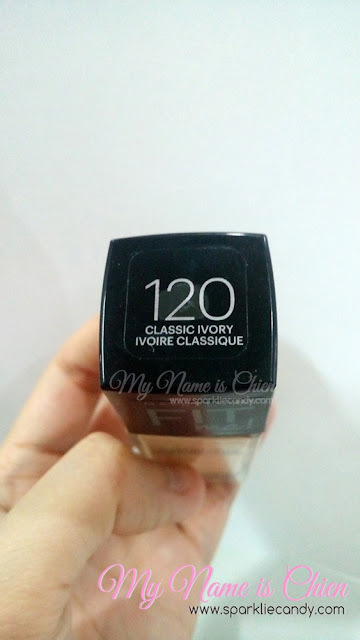 Its been a while since I last posted a review from Maybelline. Among all beauty brands, Maybelline consistently offers affordable and accessible products. I remember getting my first BB Cream from Maybelline and I pair it with Ellana Mineral Foundation. For today, I'd be sharing one of my new purchase which is Maybelline Fit Me Matte + Poreless Foundation in 120. Twist type cap and glass bottle. I was dumbfounded to find out that it doesn't come with a brush or spatula. So get your sponge buddy or brush ready. As for me, I find that I like my liquid makeup applied by hands if there is no applicator provided. The finish of this foundation is on the velvety matte side and it was said to be oil free however I still prefer to set it with powder. Its unscented and doesn't feel heavy on my face. 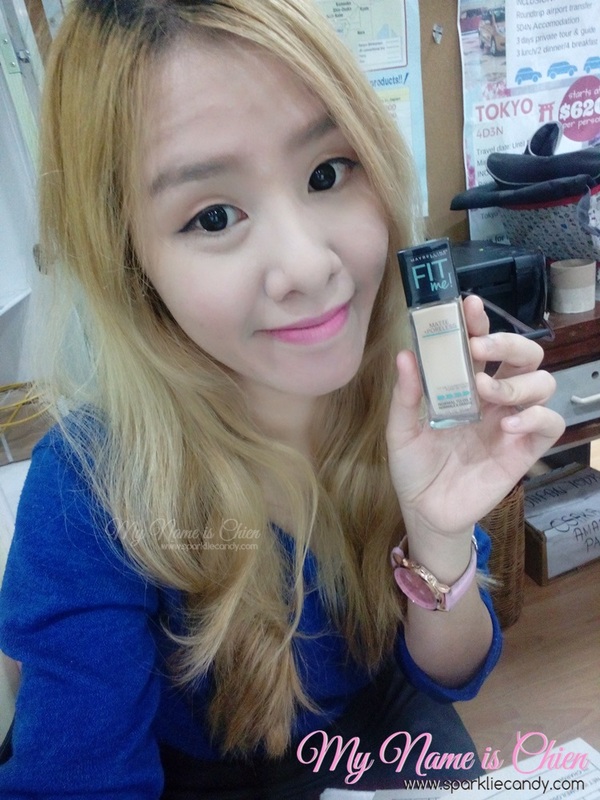 Maybelline Fit Me foundation offers thin consistency which makes it very easy to blend, there is no skin tugging. I have particularly dry skin nowadays and I noticed that it tends to cling to dry patches so I make sure to moisturize beforehand. I've used Maybelline Fit Me Matte + Poreless Foundation for about a week now. I commend the whole day staying power because I don't really use primer on ordinary days. After whole day of just Fit Me Matte my face is just slightly dewy not oily. 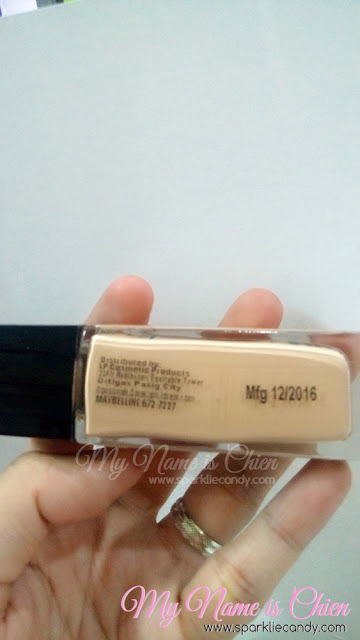 I apply this foundation using my fingers because I am not a fan of beauty tools, however if I am to choose between brush and beauty blender, I will choose the latter. 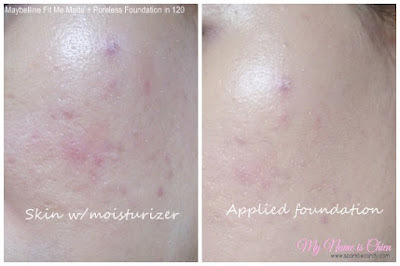 It covers my dark spots without the need for concealer. It would be a different story for red bumps and dry skin, he coverage is just average, from light to medium. My sister said I looked flawless with this product on. I didn't experience getting new breakouts while using Maybelline Fit Me Matte which is good. The only problem I think is that although the shade range is quite broad I say, which is classified as light is still dark or somehow orangey on me. Its even safe to say that it looks like natural shade. 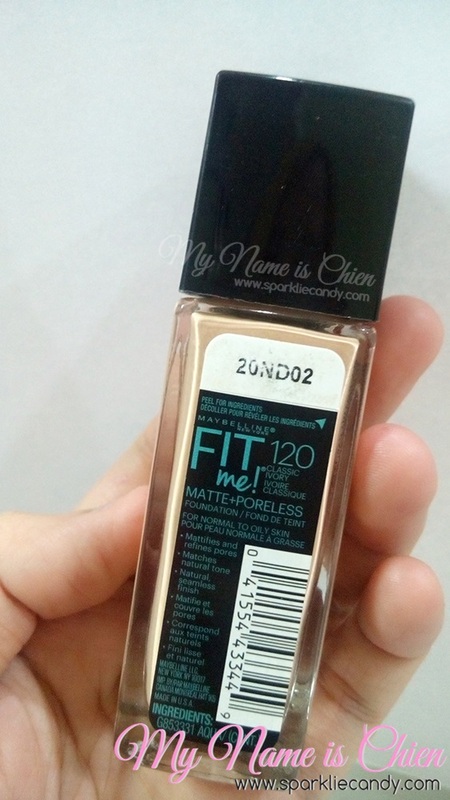 Its a bit tricky to choose the correct shade but basically anything with the 'beige' name is pink undertone. Shades that ends with 0 are supposed to be yellow undertone but I find it on the dark side. I recommend checking on your favorite Maybelline counter to know the correct shade or here. I got mine at BeautyMNL promo sale at P299. I will try to repurchase one shade lighter next time if Maybelline doesn't release a new foundation by the time I needed a new one! 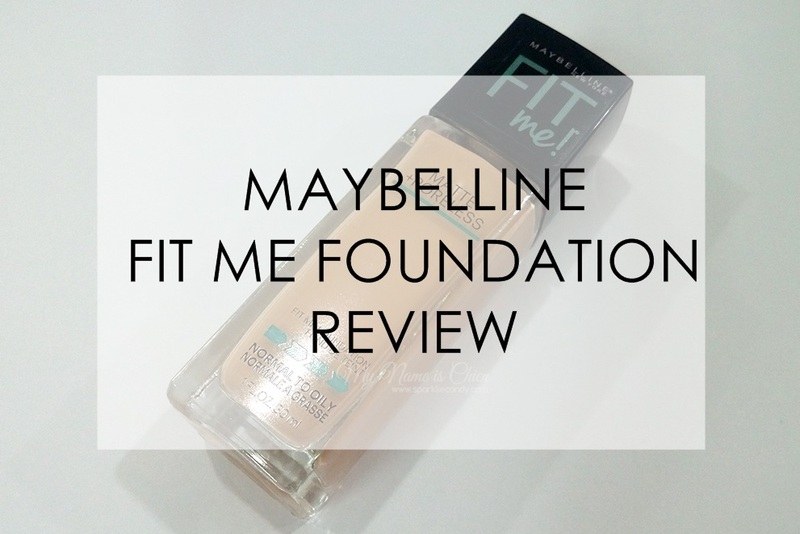 I want to recommend Maybelline Fit Me Matte + Poreless Foundation in 120 for oily skin gals who likes long-lasting matte finish. 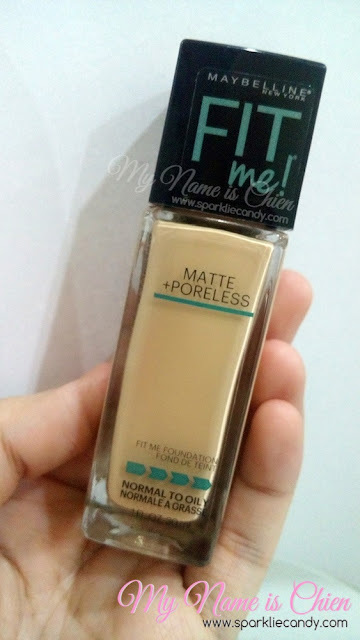 You will love how lightweight and matte it is, plus points is the pore blurring effect, yay! Make sure to use makeup remover because this baby will surely last through the day. Maybelline Fit Me Matte + Poreless 120 Classic Ivory worn with Celeteque Eyebrow Kit for the eyelids and Silkygirl Matte Fever Lip Balm in 05 Passion on the lips.